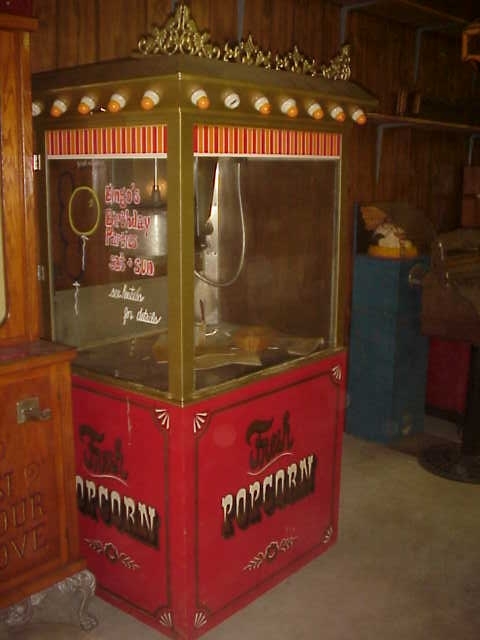 Deluxe Floor Model Antique Style Crown Popcorn Popper Machine, Gold Medal floor model popcorn popper that features an enormous popcorn machine kettle. Great for high volume locations such as arenas, movie theatres and fairs. Comes with two oil warmers. Manufacturer: Gold Medal Manufacturer.